Students can get a direct line to around 60 companies looking to recruit new talent, at a career fair in Krakow this month. The fair, on 31 March, has been organised by the student association AIESEC, and is expected at attract up to 11,000 visitors. Under the patronage of Krakow’s civic authority and the city’s universities – the Jagiellonian, the Pedagogical, and the universities of Economics and of Mining and Metallurgy – the fair will celebrate its 20th anniversary this year. Recruiting experts and potential employers will be on hand throughout the day, offering information about opportunities for full-time work and internships. The AIESEC has also organised career planning workshops and training to coincide with the fair, under the auspices of the Skills Academy. Across Poland, students will be taking part in AIESEC events to mark Career Day. The event is the largest in the country, spanning nine major cities. AIESEC in Poland works with students and companies on the Employer of the Year Project, and has developed an international training programme for young people to gain experience in their chosen fields, around the world. The organisation in Poland is part of a global network, representing 50,000 members in 107 countries. AIESEC’s aim is to promote a positive model of leadership, based on cultural awareness, active learning, entrepreneurship and social responsibility. The organisation began life as the Association Internationale des Etudiants en Sciences Economiques et Commerciales, but has received such acclaim worldwide that it is now known simply as AIESEC. 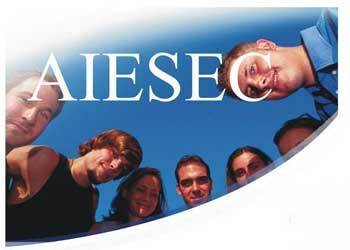 www.krakow.aiesec.pl to find out how the organisation can help your personal development and career prospects.